Professor Jiankun Hu is a full professor of cyber security at the School of Engineering and IT, University of New South Wales (UNSW) Canberra. He is the invited expert of Australia Attorney-General’s Office assisting Australia National Identity Management Policy. He served at the Panel of Mathematics, Information and Computing Sciences (MIC), ARC ERA (The Excellence in Research for Australia) Evaluation Committee 2012. He is the Security Symposium Co-Chair of IEEE Globecom 2018; He is now serving as editor for following international journals: (1) IEEE Transactions on Information Forensics and Security; (2) Area Editor, KSII Transactions on Internet and Information Systems; (3) Journal of Security and Communication Networks, John Wiley; (4) IET, Cyber-Physical Systems; and (5) Security and Privacy, Wiley. 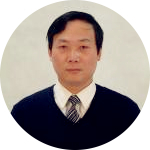 Prof. Hu’s main research interest is in the field of cyber security including applied cryptography, intrusion detection, and biometrics security. His research works have been published in many top venues such as IEEE Transactions on Pattern Analysis and Machine Intelligences; IEEE Transactions on Computers; IEEE Transactions on Information Forensics and Security; IEEE Transactions on Parallel and Distributed Systems; IEEE Transactions on Industrial Informatics. Abstract:With the emergence of social network, Internet of Things (IoTs), and outsourced cloud computing, we are embracing an era of big data. Big data analytics can bring huge cost savings, and identify hidden patterns in the big data. However, big data also has a big issue of privacy concern as big data analytics can reveal individual’s personal behaviour, and other sensitive information. Therefore, it is vital to have suitable techniques for privacy-preserving big data analytics. In this talk, we will report on the latest developments in this field and discuss open challenges for future research.